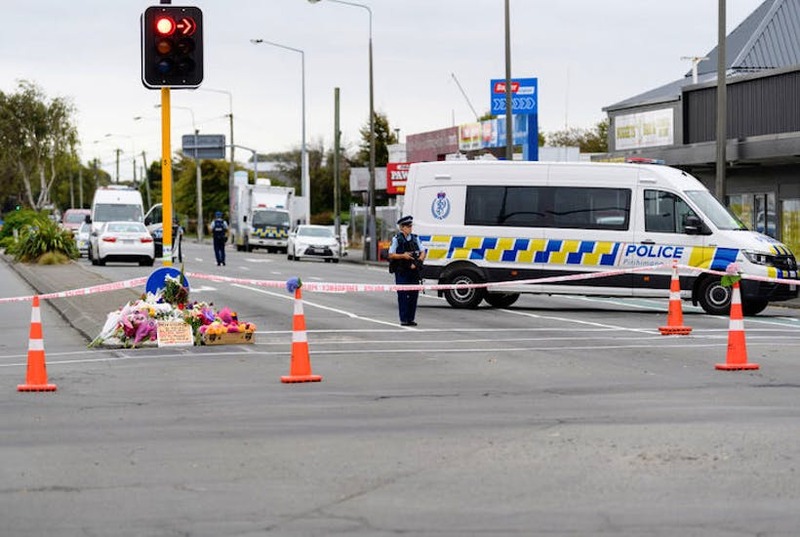 Commenting on the New Zealand terrorist attack in an article for The Spectator, Richard Walton argues that the most important lesson from the history of counter-terrorism is that all forms of terrorism are best tackled through a rule of law counter terrorism framework that involves covert pro-active intelligence and evidence gathering against known extremists. Critical to the approach is co-operation of the wider community who need to be repeatedly encouraged to report any suspicious behaviour to the authorities. It is extremely difficult to identify ‘lone actor’ extremists who deliberately remain anonymous and beneath the radar of the police and intelligence agencies whilst plotting attacks. 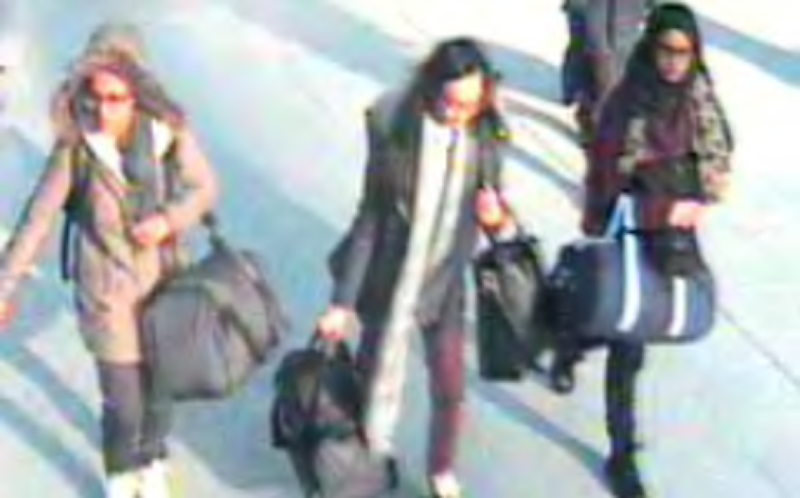 Commenting on the case of the British “jihadi bride” Shamima Begum, Richard Walton, Director of Counter Terrorism Global Ltd. wrote that the response from the UK needed to be robust. He said that the country should resist calls to treat women who join ISIL any differently from men as research had provided a body of evidence that showed they had not been passive actors in Syria but, more often than not, active participants. He also wrote that existing terrorist legislation, including the new Counter Terrorism and Border Security Act was not adequate for dealing with some of the most hardened terrorists returning from ISIL. He wrote: “For this reason, I believe the case for a renewed offence of treason - made in a Policy Exchange paper entitled “Aiding the Enemy” last year - will now be strengthened.There has to be a recognition that betraying your country and the society that raised you is a crime that merits punishment”. As a member of the Security and Counter Terror Expo Advisory Board, Richard Walton promotes the forthcoming 2019 event Security & Counter Terror Expo as a world-class showcase of the capabilities, strategies and intelligence to keep nations, infrastructure, business and people safe. 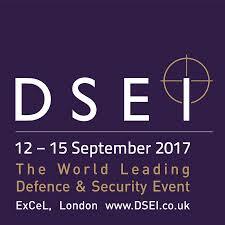 ​For its 11th edition, the event will bring together 10,000+ senior security professionals from the government, private sector, critical infrastructure, military, law enforcement, transport security, border security, security services, major events and emergency services to discuss and debate the latest challenges in national security. Counter Terrorism Global Ltd co-ordinated and delivered this high level 3 day engagement with senior police and intelligence officials from a West African nation state. ​Benchmarked against the UK Counter Terrorism model, the seminar drew on learning from terrorist incident case studies, delivering seminal training input on crisis management response to terrorist incidents, terrorist siege and hostage negotiation. ​The seminar was facilitated by experienced and expert professionals, with unique and long-established careers in counter terrorism. Referring to the case of Anjem Choudary, Richard stated that the law is currently insufficient to stop extremist clerics like Anjem Choudary from abusing the right to free speech. ​The new Clause 1 of the Bill addresses current deficiencies, making it an offence to 'express support' for a proscribed organisation when the individual is ‘reckless’ as to whether it would encourage parties to the expression to support such an organisation’. Amendments have been tabled by some Members of Parliament who assert that the Clause risks curtailing the right to free speech (Article 10). By way of response, Richard stated that the right to free speech (Article 10) needs to be balanced against the Right to Life (Article 3) which is an absolute right in law. If Clause 1 is amended or diluted in any way, then an opportunity will have been missed to stop radicalisers from encouraging others to support and join proscribed terrorist organisations. ​One of the most extraordinary, captivating and insightful accounts of involvement in the violent global jihad ever written. Aimen Dean has been through a remarkable journey and lived to tell the tale. This book shines a light on Islamist extremism in the UK and the charismatic extremist leaders who have been responsible for so much radicalisation within British Muslim communities over the past decades. Counter Terrorism Global Ltd contributing to the King's Intelligence Studies programme with a presentation on counter-terrorism and evidence. The presentation tracked the evolution of the use of intelligence presented as evidence in UK courts by UK intelligence agencies and law enforcement from the era of Irish related terrorism to more recent cases involving Al-Qaeda and Islamic State. Richard Walton was Special Advisor to 2018 Security and Counter Terrorism Expo and is also Chair of the Advisory Board to SCTX. 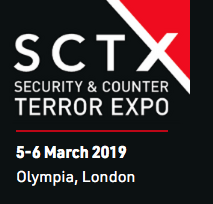 SCTX is the UK's leading national security event, now in its 10th year. It attracts security and counter terrorism professionals from around the world and includes the World Counter Terror Congress. Over 10,000 people visited the event over the course of the two day event with 114 countries represented. Over 500 VIPs attended and there were over 200 conference sessions. Keynote speakers included Mark Rowley, UK Head of Counter Terrorism Policing, Sir Michael Fallon and the Deputy National Security Advisor Richard Moore. Speaker at the handa centre for the study of terrorism and political violence, st andrews university. Richard Walton was speaker at the Postgraduate Workshop, Mlitt in Terrorism Studies at the Handa Centre for the Study of Terrorism and Political Violence, School of International Relations. University of St Andrews. 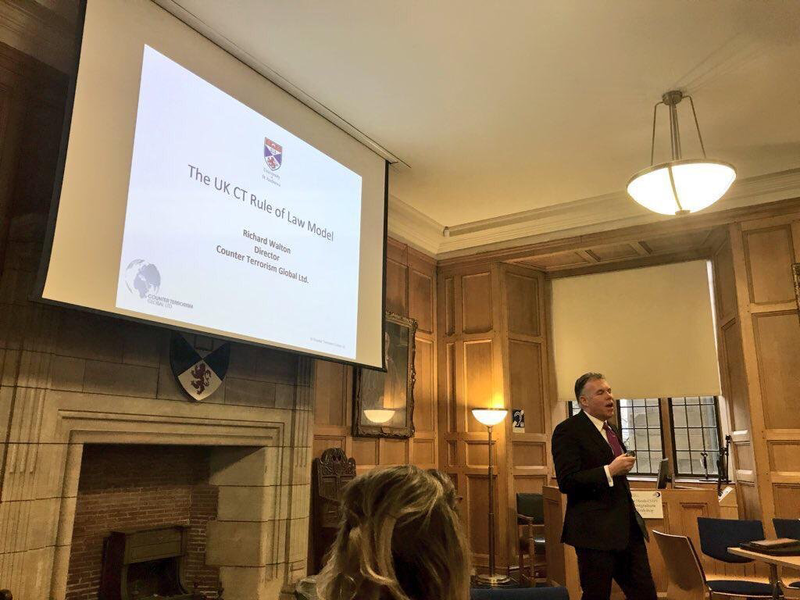 The talk was entitled: 'The UK CT Rule of Law Model'. The UK has been dealing with terrorism for over a century and has developed a unique collaborative model for tackling terrorism threats. 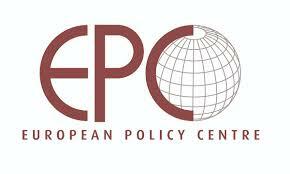 The model is based on the fundamental principle that terrorism is best defeated through the 'rule of law'. This model has evolved and changed over the decades and is now world leading. The presentation explained the evolution of the model and how the UK intelligence agencies work with the National Police Counter Terrorism Network to gather intelligence and evidence relating to terrorist activity. 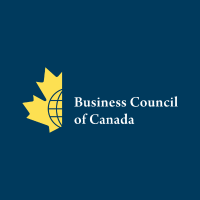 Richard Walton was a Keynote Speaker at this event for Canadian CEOs in Munich. Entitled 'Homegrown terrorism and radicalisation: what business needs to know', he spoke alongside Prof. Peter Neumann, Director, International Centre for the Study of Radicalisation, King's College, London. Both speakers emphasised the changing nature of the terrorist threat since the demise of the Islamic State "Caliphate" and growth of social media. Foreign fighters returning to their homelands represent a very real risk to countries trying to prevent terrorism. According to the Canadian government, 190 extremists with a nexus to Canada are abroad and suspected of having engaged in terrorist activity. In addition, the Canadian government is aware of 60 individuals who have returned to Canada. Richard advised the CEOs to undertake comprehensive threat and risk assessments on terrorism risk in their sectors, regions and companies. Richard Walton supports the Govt's position paper on security arrangements describing it as a rational, sensible proposal, providing Britain does not have to contribute financially to what is a mutually beneficial arrangement. 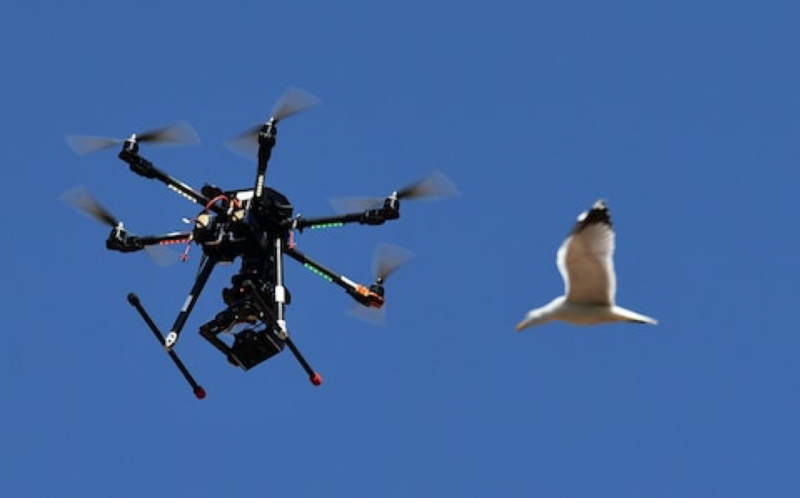 He argues that the proposal will succeed because police and intelligence agency professionals across Europe know full well that the EU will carry significant risk if the UK does not continue to engage fully with Europe's crime and security agencies. ​The UK has now experienced five terrorist attacks in 2017 with the most recent bombing on a London Underground tube carriage thankfully resulting in no loss of life. 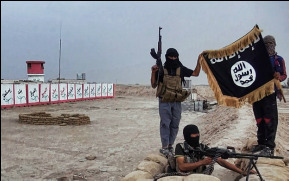 There has been a profound surge in the terrorist threat across Europe over the year whilst the 'coalition against Islamic State' succeeds in defeating the so-called 'Caliphate' in Syria and Iraq. Intelligence agencies are referring to this as a 'shift' in the threat level and tempo rather than a 'spike' - in essence a 'new norm'. This speech focused on strategies to combat this new level of threat, in particular, thwarting attacks by inspired self-starters or 'lone actors', (extremists who are carrying out less sophisticated attacks using vehicles and knives as weapons) and addressing the vexed issue of on-line radicalisation and the use of social media to inspire terrorism. 5th June 2017 - Richard Walton writes about the London Bridge terrorist attack that took place on Saturday 3rd June when three terrorists drove at people on London bridge before attacking members of the public with kitchen knives. In the article, he highlights the islamist extremist ideology that is driving terrorism across the world and posits that law enforcement solutions that have to be supported by policies and strategies to tackle the ideology. The article is entitled 'We cannot arrest our way our of terrorism - it's time to tackle the ideology'. 30th May 2017 - A range of prominent voices have expressed concern that Brexit has made security cooperation harder and might have made Britain more vulnerable to terrorism. Are they right? In an article for the think tank Policy Exchange entitled 'The importance of Bilateral Collaboration in International Counter-Terrorism Investigations', Richard Walton argues that success in counter terrorist investigations with international dimensions is largely dependent on the extent to which a country's police and intelligence agencies have 'global reach' and strong state to state relationships. The article also responds to the questions surrounding the issue of security in the Brexit negotiations. 24th May 2017 -​ Richard Walton writes about why 'Stopping radicalised Britons from travelling to Libya is not easy - nor always desirable'. 23rd May 2017 - Richard walton writes a response to to Manchester terrorist attacks, discussing why 'After Manchester, terrorists will keep trying to attack Britain'. ​2nd May 2017 - Keynote speaker at the Terrorism Risk Conference in the city of London. RMS engaged in a 15 year retrospective of their probabilistic terrorism risk model. Speaking at the event, Richard Walton, Director of Counter Terrorism Global emphasised the changing nature of the terrorist threat, the emergence of new attack methodologies such as vehicle ramming and the need to tackle the use of social media for inspiring terrorist acts around the world. "Social media has been a turbo charge on the terrorist threat" he said during his speech. 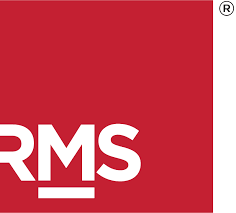 RMS have a range of publications relating to terrorism. 23rd March 2017 - Richard walton writes on how 'Our brave police risk their lives to keep us safe, but they can't prevent every attack' in a response to the westminster terrorist attack. 24th February 2017 - Key note speaker at the annual Hogan Lovells CBRE Hotel Conference 2017 - entitled 'Revolution or Evolution - Protect & Survive'. The hotel industry needs to be vigilant and ensure that in addition to physical security measures such as CCTV and protective bollards, time and money is invested in carrying out detailed risk assessments and importantly penetrative testing. 24th November 2017 - Key note international speaker on 'The global threats from terrorism' to the International Congress Smart Metropolis held in Gdansk between 23rd-24th November 2016. The congress is a meeting place for the representatives of science, business, administration and non governmental organisations and is an international platform for the exchanging of ideas and experience relating to the functioning of metropolitan areas. The theme of the conference was "Openness and Safety'. 23rd November 2017 - Speaker and advisor at a test and exercise for a terrorist incident at Stadion Energa football stadium in Gdansk, Poland. The live play exercise tested the response of the emergency services to a terrorist attack at the stadium, one of Poland's largest football stadia. 13th October 2017 - Speaker at the 22nd Annual Conference and Exhibition of the Association of Security Consultants (ASC) entitled: 'The Challenge of Security in a Changing World' at the Marriott Hotel, London Heathrow. The conference attracts security professionals from across the corporate and public sector in the UK and overseas. 20th - 21st September 2017 - Lecturing to the undergraduates at the Counter Terrorism Centre, US Military Academy, West Point, USA. The CTC was created in 2003 and produces the excellent monthly publication 'Sentinel' which contains academic articles on the terrorist threat. It straddles operational practice and academic theory and informs and influences many different parts of the American apparatus including the FBI, JSOC, USASOC, DIA, NCTC and State Department. 18th - 19th November 2017 - International keynote speaker at the Annual Counter Terrorism Conference 'Eyes Only - Insights into the Legal War on Terrorism at The Yale Club, New York. The conference brought together leading experts in the fields of intelligence, counter-terrorism, law enforcement, cyber security and international finance to provide insights into legal aspects of defeating terrorism through the 'rule of law'. 6-9th September 2016 - Speaker at the Economic Forum 2016, Poland entitled, 'Facing Contemporary Terrorism - How to Defend Europe?'. 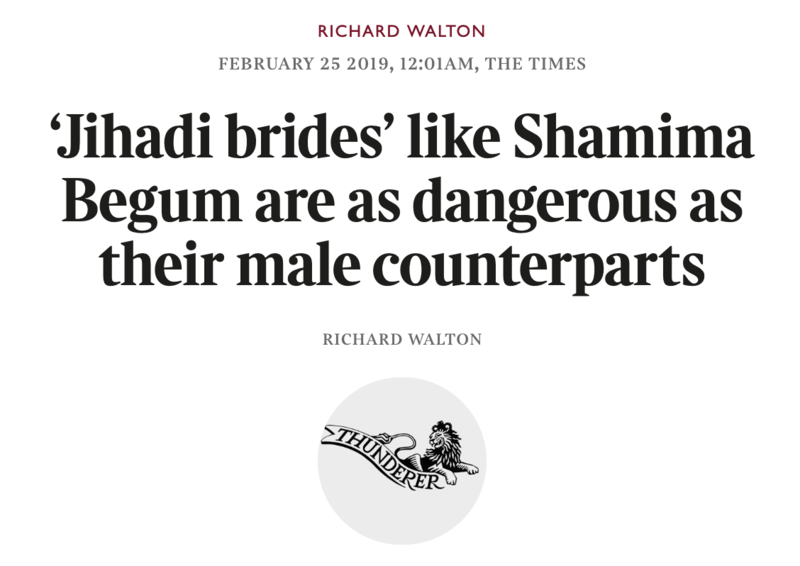 24th August 2016 -Writing in The Daily Telegraph: Richard Walton writes for the Daily Telegraph on how 'There is nothing to stop other radical Islamic preachers taking over Anjem Choudhary's work'. 22nd July 2016 - Speaker at the International Centre for Political Violence and Terrorism Research (ICPVTR) at the S. Rajaratnam School of International Studies (RSIS) in Singapore on the 'History of countering terrorism in the UK'. 19th July 2016 - International keynote speaker at the Australian National Security Summit, Canberra. 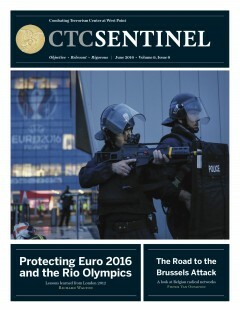 June 2016 - CTC Sentinel - Richard Walton argues in the cover story that the threat to Euro 2016, which concludes on July 10, is more acute than for any other international sporting event in history because of the unprecedented threat to France from the Islamic State and its followers. He outlines lessons learned from the London 2012 Olympic Games that may be of value in protecting Euro 2016 and the upcoming Rio Olympics. 22nd March 2016 - Richard Walton speaking on CBS News on the Brussels attacks. ​15th March 2016 - Richard Walton speaking to the Programme on Terrorism and Security Studies (PTSS) course at the George Marshall European Center for Security Studies in Garmish Partinkirchen, Germany. Participants from 45 countries around the world. 26th February 2016 - Richard Walton writing in the Daily Telegraph on how 'Being in the EU doesn't keep us safe from terrorists'. January 2016 - Interviewed in ​CTC Sentinel | Volume 9, Issue 1 for the Combating Terrorism Centre at West Point, New York. 'A View from the CT Foxhole: An Interview with Richard Walton, Head, Counter Terrorism Command, London Metropolitan Police'. The United States Military Academy was established at West Point in 1802 and has the longest continuous service of any United States military installation and is the nation's oldest service academy. October 2015 - Keynote speaker at Fleming Gulf’s 4th Edition of the Middle East Homeland Security Summit, hosted by The General Directorate Of Gendarmerie, Hashemite Kingdom Of Jordan. ICT is an independent think tank providing expertise in terrorism, counter-terrorism, homeland security, threat vulnerability, risk assessment, intelligence analysis, national security and defence policy.